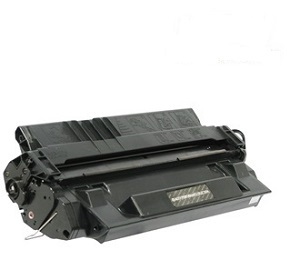 Compatible New Xerox printer CT200652 yellow toner cartridge. Clever buying backed by 180 day print quality manufacturer guarantee. Quality printing Compatible Xerox Docuprint Yellow C525, C2090 toner cartridge, reliable next working day courier delivery Brisbane, Logan, Southside Brisbane, Brisbane CBD, Northern Suburbs Queensland, CBD & Inner Suburbs Queensland, Redcliffe, Beaudesert, Sunshine Coast, Gold Coast, Mt. Isa, Gladstone, MacKay, Toowoomba, Ipswich, Cairns, Townsville, Roma, Rockhampton, Melbourne, Melbourne CBD, Geelong, Ballarat, Bendigo, Cranbourne, Melton, Mildura, Frankston, Shepparton, Warrnambool, Canberra, Belconnen, Queanbeyan, Sydney, Sydney CBD, St George, North West & Ryde, Hills Shire, Sydney Eastern Suburbs, Liverpool, Parramatta, Blacktown, Penrith, North Shore, Central Coast, Newcastle, Wollongong, Nowra, Armidale, Bathurst, Orange, Coffs Harbour, Dubbo, Goulburn, Lismore, Port Macquarie, Richmond, Campbelltown, Taree, Tamworth, Shoalhaven, Adelaide, Adelaide CBD, Mount Gambier, Gawler, Whyalla, Perth, Perth CBD, Rockingham, Mandurah, Bunbury, Kwinana, Hobart, Burnie, Launceston.